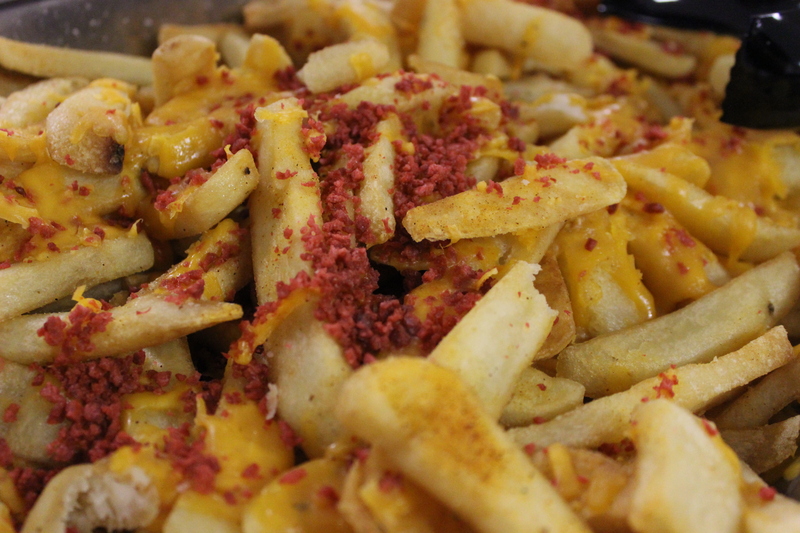 Bacon macaroni and cheese, bacon-wrapped hot dogs, bacon cheese fries, bacon pizza… That can only mean one thing at Campbell: Bacon Day! 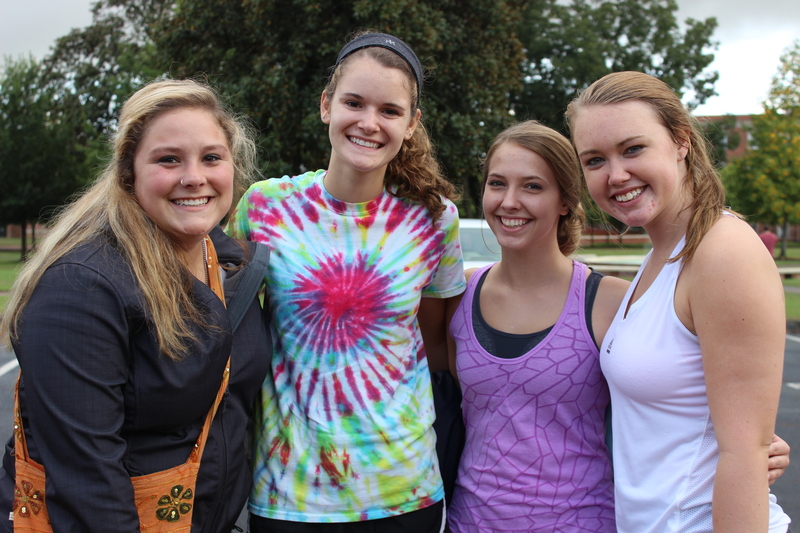 One of CAB’s most popular events, Bacon Day drew students from all across campus to the Rumley Center to brave the gloomy weather and claim their spot in line for a stylish bacon day t-shirt. Despite the rain and line that extended nearly to Marshbanks, students were all laughs and smiles as they socialized, eagerly waiting for the doors to open. 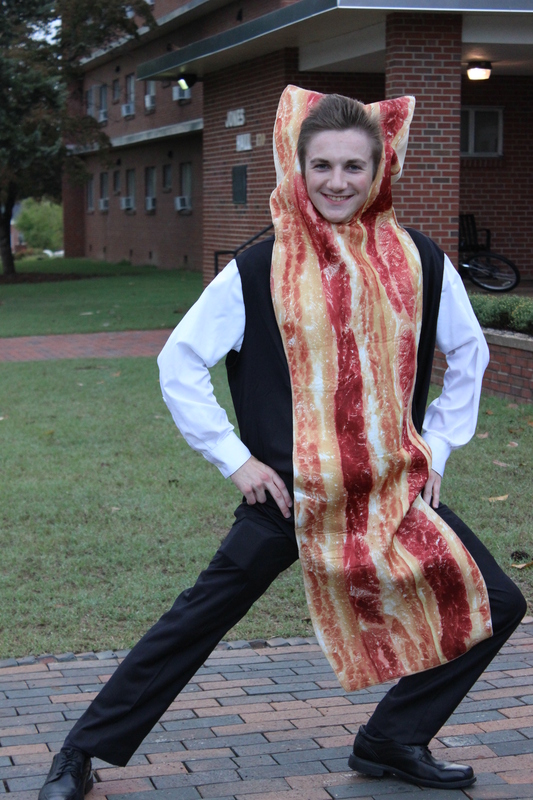 Many also enjoyed seeing the reappearance of the infamous bacon suit that various CAB members had been sporting throughout the week on campus, with several #baconday2015 selfies appearing on Campbell’s social media. 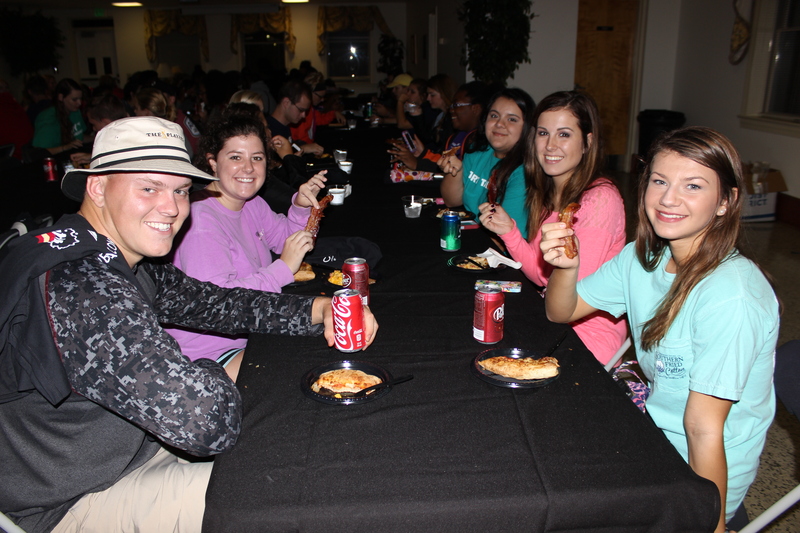 When the event officially began, students had the chance to try multiple different bacon recipes, and were overheard excitedly saying how much they enjoyed getting to attend an event where there was free food and fun with friends – what could be better?